Learning Center / Latest Articles / Wine Info / Wine Storage / Aging Wine: What Happens to Wine as it Ages? In order to gain a true understanding of wine, it is important that a thorough understanding of the self is first achieved. There are many complex flavors compounds, colors, and aromas in wine, each of which plays a significant role in the determination of an opinion relating to the wine. Taste is a very unique and personal thing, and there are frequently dissenting opinions relating to taste. With wine, however, personal taste is often put aside for the sake of objectivity, and tasting is more about an appreciation of the craftsmanship involved in the winemaking process. One part of this process involves aging wine, which is fairly misunderstood. Aging does, in fact, affect the taste and quality of the wine, but it does not impact all wines in the same way. So, what happens to wine as it ages? A number of processes take place, all of which influence the wine in a variety of ways. Sight plays less of a role than it used to, but it remains an important factor. Much like a diamond, the color and clarity of a wine can help in determining its quality. While winemaking has evolved its processes enough that cloudy and hazy wines are less frequent, there are wines that occasionally suffer from these flaws. Oxidative handling, permeable corks, and poor winemaking abilities will all play a role in the unacceptable colors appearing in wines. Smell plays a much larger role than most people realize, as 80 to 90 percent of what is perceived as flavor actually comes from smell. Aroma is therefore very important to winemaking, and it is perceived through the nostrils and retro nasally (through the back of the mouth). Taste occurs when the taste receptor cells are excited by stimuli, thereby becoming aware of the primary sensations, of which there are five: bitter, salty, savory, sour, and sweet. How the wine interacts with these receptors will allow for a determination to be made with regard to the wine’s various attributes. Is Wine Always Better With Age? A fairly common misconception is that wine is always better after it has been allowed to age. This is simply not the case. Many of the wine’s components change over time, and in some wines the change is beneficial. In other wines, however, the change can actually be quite detrimental. The flavors, aromas, and colors will change as the wine ages, and the makeup of the wine will determine whether or not the changes are beneficial to the wine’s flavor. A major factor in the aging process has to do with the presence of tannins and acids. Tannins are located in the skins and seeds of the grapes used in the winemaking process, and tannins possess a bitter sort of taste that causes a feeling of dryness in the mouth. As the wine ages, the tannins soften and do not taste so harsh. There are other factors as well, as color changes (reds lose color; whites gain color), aromas merge to form a more complex bouquet, and powerful flavors become more savory as they interact with the more subtle flavors. The level of acids and tannins in the wine will determine whether or not a wine is a good candidate for aging. Since acids and tannins slow the oxidation process and act as preservatives, wines that have high levels are better candidates for a longer aging process. If opened too soon, however, the wine will taste unpleasant and bitter because of the high levels of tannins and acids. Typically, white wines have very low levels of acids and tannins, making them poor candidates for aging. Most whites are designed to be opened immediately, but there are exceptions. Chenin Blanc, Riesling, and Semillon are typically designed to be aged. Reds are usually good candidates, as they have a stronger tendency to have higher levels of acids and tannins that soften over time. 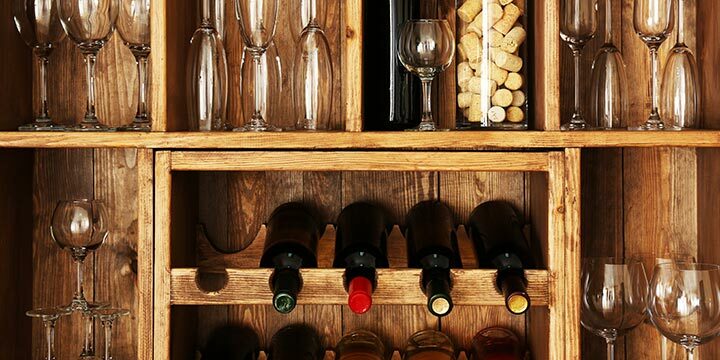 The condition in which you store your wine will play a role in how the wine ages. 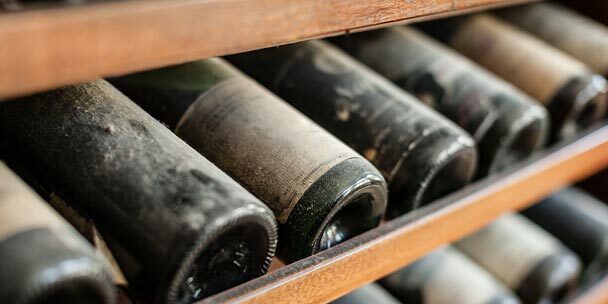 If your wine is stored in excessive heat or cold temperatures, it will likely have an adverse effect on how it ages. If your wine is stored in an area that experiences constant vibrations or sits in direct sunlight, it will likely have an adverse effect on how it ages. 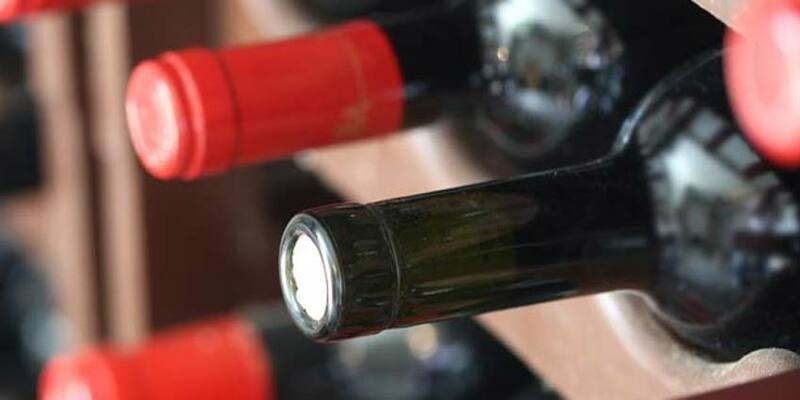 If you are planning on aging your wine, it’s best to keep it at a constant temperature of approximately 54-58°F. 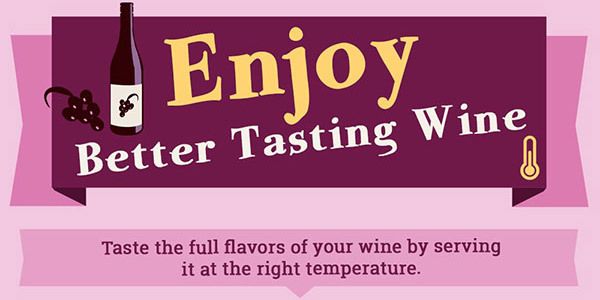 It’s detrimental to the wine when it continually changes its temperature, especially drastic temperature changes. 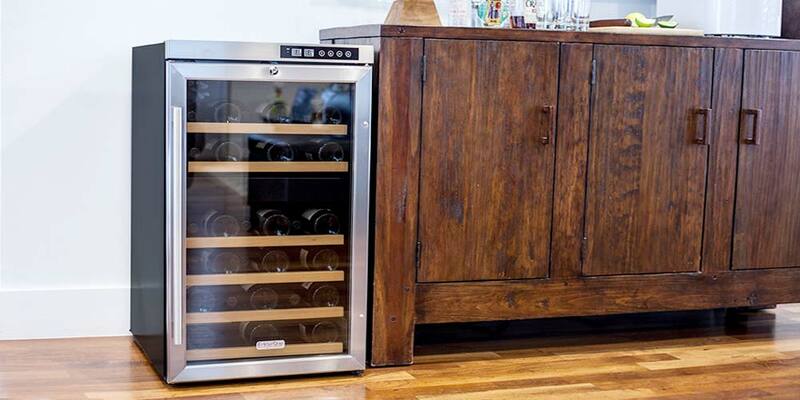 This is where a wine cooler will come in handy for you. 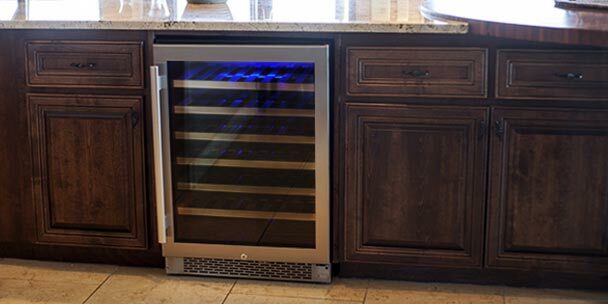 Designed to keep your wine stored at the exact temperature you want, a wine cooler is the perfect storage solution for aging wine. Even when a wine is designed to be aged, time will eventually cause it to lose its fruit character. Wines should be opened when they have achieved a balance and harmony through the aging process, something that can be determined by considering how other vintages have fared under similar circumstances. Through an analysis of the style of the wine and region in which it was produced — along with how the weather from the particular vintage may have impacted the tannins, acids, and fruit development — it is possible to determine when a wine will be at its best.